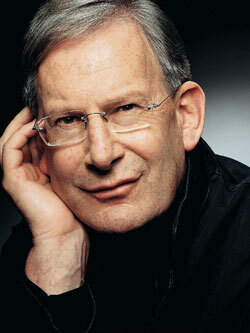 The more John Eliot Gardiner's Bach Cantata Pilgrimage proceeds, the more one appreciates his understanding of the specificity of the composer's reaction to each Sunday or Feast Day's texts. With these two latest releases it's particularly apparent how varied in mood the cantatas are: reflecting the journey of the liturgical year, the works on these discs range from light to dark, from joy to sorrow. As always, the performances by Gardiner, the Monteverdi Choir and the English Baroque Soloists are lessons in how this repertoire should be treated. Encompassing both the spiritual and the academic aspects of these works, Gardiner and his forces present definitive accounts of most of the scores; that the recordings were taken during live performances only enhances the atmosphere. Volume 3 features the Cantatas for the Fourth and Fifth Sundays after Trinity. Tewkesbury Abbey was the setting for the former, which includes three splendid cantatas. The highlight of BWV 24, 'Ein ungefärbt Gemüte', is the choral double fugue, a riveting and stirring piece of music with numerous twists and turns. Magdalena Kozena and Paul Agnew join forces for the limpidly-orchestrated duet which opens the next cantata, 'Barmheiziges Herze der ewigen Liebe', BWV 185; Nathalie Stutzmann's excellent rendition of her alto solo aria and bass Nicholas Teste's deeply-felt recitative make this vocally the strongest of the three cantatas. The choir steals the show again in the next work, 'Ich ruf dir, Herr Jesu Christ, BWV 177; unfortunately, I don't feel that either Stutzmann or Agnew deliver their arias with the same ease or pace in this piece (and the tempi are a little slow), though Kozena is excellent in her solo number. On to Mülhausen for the Fifth Sunday after Trinity, scene of Bach's second professional post at the age of twenty-two. Two of the four cantatas performed were written for Mülhausen, the more outstanding of the two being 'Aus der Tiefen rufe ich, Herr, zu dir', BWV 131. This is Bach in searing, intense mood, climaxing in another of his fabulous choral fugues, this one set to the words 'I wait for the lord, my soul doth wait, and in His word do I hope'. The ensuing cantatas in the set are equally fine, William Towers (alto) and Joanne Lunn (soprano) duetting powerfully in the two duets (one with a very special instrumental chorale) of 'Wer nur den lieben Gott lässt walten', BWV 93, and both tenor Kobie van Rensburg and bass Peter Harvey providing stylish contributions to their intricate solo numbers. Yet the other volume (Cantatas for Whit Tuesday and Trinity Sunday) is more to my taste, an unmitigated delight from start to finish. In fact, 'delight' is just the word for the English Baroque Soloists' performance of the Third Brandenburg Concerto, BWV1048, which Gardiner included in the programme because only two of Bach's cantatas for Whit Tuesday have survived. As always the conductor's pilgrimage journal, reprinted in the CDs' liner notes, provide a great deal of interest. Here we are reminded that this concerto was the basis for the opening sinfonia of the cantata BWV 174, which the choir and orchestra had performed the previous day on their pilgrimage, and that 'Bach saw Trinitarian associations with this magnificent concerto composed on unusually democratic lines for a trinity of trinities: three violins, three violas and three cellos'. Gardiner's elegant and informative but highly readable discourse on both the works and his approach to them in performance has become such a significant attraction of this series that I could even imagine the journal making an interesting volume on its own. The translation of the first cantata of Volume 27 is 'Longed-for light of joy' (BWV 184), a sentiment that seems to epitomise the mood of the music throughout. The Monteverdi Choir's performance matches it with a joyful performance, not least in the jolly final chorus about Jesus the Good Shepherd. The shepherd theme continues in 'Er rufet seinen Schafen mit Namen', BWV 175, where Stephen Loges' bass solo is outstanding and the singing in the closing chorale as beautifully refined as any Bach performance I've ever heard. Meanwhile, the emotion behind the cantata BWV 194 for Trinity Sunday speaks for itself: 'O greatly longed-for feast of joy'. The choir responds vividly to Gardiner's lively direction, coping well in the opening chorus in spite of the ambitious tempo. Peter Harvey is the excellent bass soloist again and is joined by Ruth Holton (soprano), Daniel Taylor (alto) and Paul Agnew (tenor), one of the strongest vocal teams in this series' releases so far. From the dark character of the vigorous choral opening of 'Es ist ein trotzig und verzagt Ding' to the trumpet blasts at the start of the closing chorale of 'Gelobet seider Herr, mein Gott', BWV 129, this is a deeply involving and emotive recording. Highly recommended - as always.